In the winter of 2009, I had the pleasure of being a judge at the Oregon Chocolate Festival, which is held in Ashland. In remembering the categories, they were pure chocolate, best marriage of chocolate and candy, desserts, and most innovative. The competition was tremendous and the five of us who were judges had challenging taste, criteria, and score sheets to track over two days. There were well-known purveyors who had been featured on Oprah and others with worldwide reputations. There were those up and coming shops that you knew were going to make it soon. 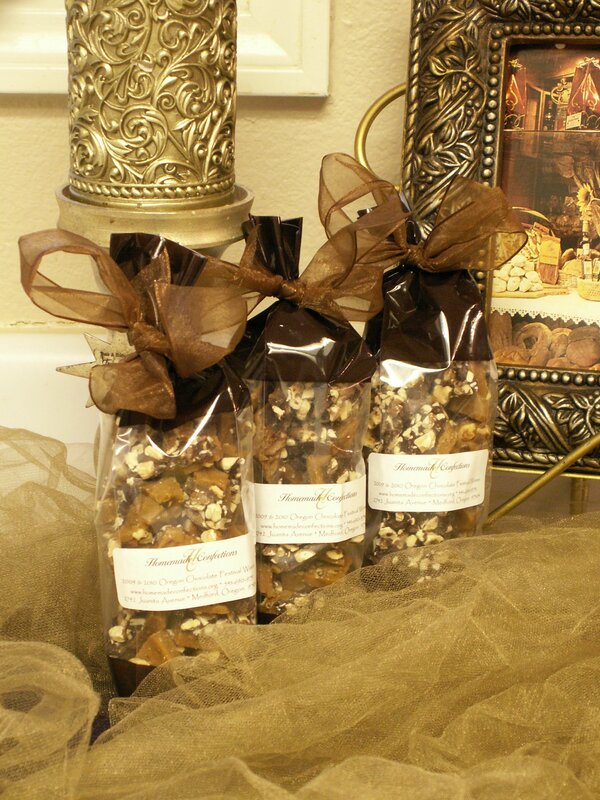 And there, on the right side of the main hall, about half way back, was a young woman and her husband, passing out samples of her Homemade Confections English toffee, peanut brittle, and topping mix. I could have easily missed Judith Galindo, I doubt that I would have, as I was being careful. 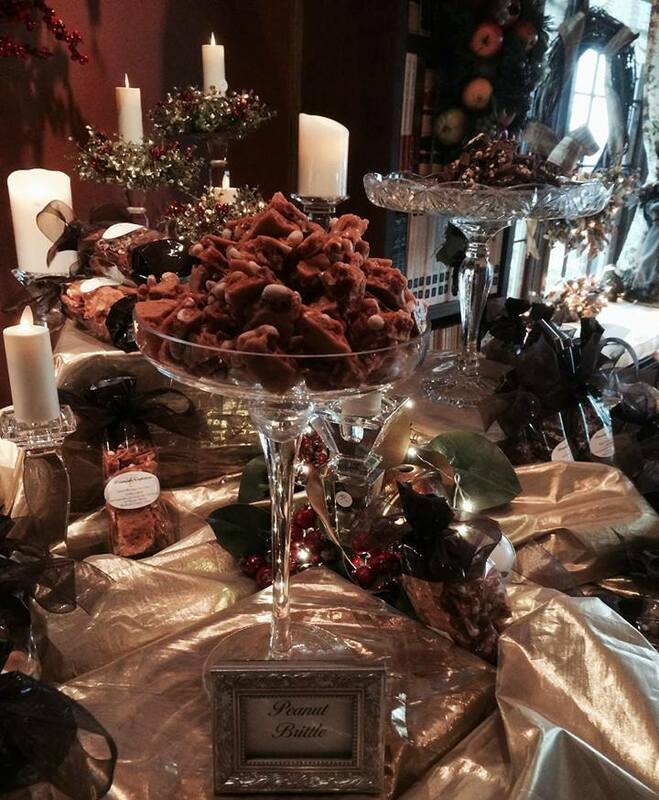 But my friend and judge, Brenda Hill, came and pulled me away from where I was and said, “You have to taste this toffee.” I had already tasted about ten or fifteen toffees, so I was not expected to be blown away. But I was. 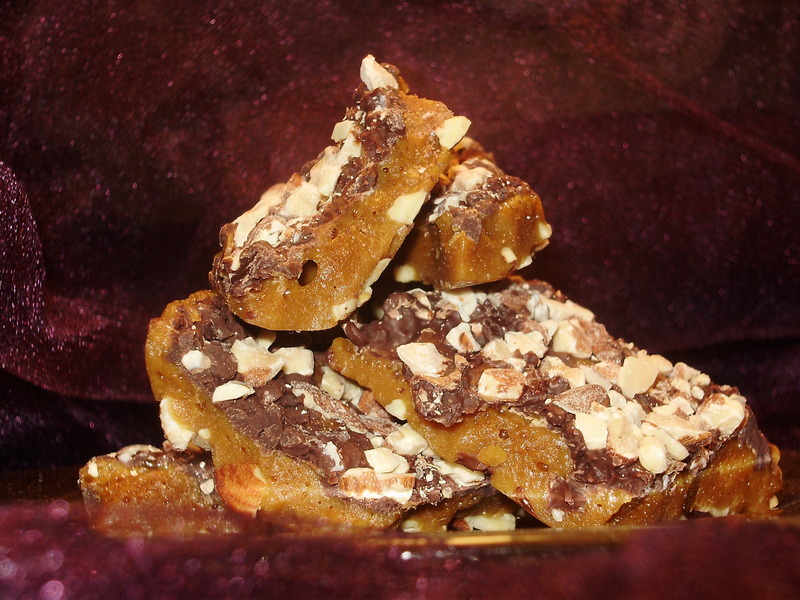 Homemade Confections English toffee was and is exceptional. We discovered her business was only a month old, which was a deterrent, but the product was so outstanding, she placed first in the best marriage of chocolate and candy category. I’ve since become friends with Judith and watched her love and passion for what she does grow. In wanting you to get to know her, I asked her to tell her story in her own words. “As I reflect back on my five years in business, with great fondness and humble appreciation, I am overwhelmed with the success and accolades afforded me. I began with a mere $250 to start my little company with no knowledge of what would come of it. All I knew is I wanted to make exceptional, indulgent candies and desserts and share them with the world! This was accomplished! My candies have been shipped globally, have been invited to and participated in major American and International Awards shows, eaten by A-list celebrities and sought out by exceptional chefs to indulge in just for their own pleasure. I wish I could share all of the wonderful stories with you! “The exuberant feeling of ‘Me?’ never ceases when asked to participate in events, approached by bloggers, offered opportunities that seemingly would raise the presence of Homemade Confections. Without a doubt, I never tire of the two ultimate compliments: ‘This is better than my mother’s or grandmother’s’; and the, ‘Oh my this is fantastic’ eye roll. “Along my journey, I have been embraced, rejected, loved, dismissed but never stopped! With this came a huge learning curve of what to ask, who to approach, how to learn, where my candies and desserts would fit best and more. “My passion for cooking (not necessarily candy) came at a young age while baking with my mother from the recipes of cakes and cupcakes from her Betty Crocker Cookbook (cr. 1960s). I now embrace the torn pages with their splatters of batter, handwritten revisions and my childhood drawings of hearts and smiles of my favorite recipes. I found myself with cookbooks of all genres with the attempt of making them ‘my own.’ I wanted to use a vessel, whether it be a mushroom cap, large shrimp, pasta shells, tart shells or a lovely wine or martini glass to present my food. The desire to make a dish that would typically render itself a savory dish and make it a sweet dish and vice versa was the quest! The food in our home was good, but it was, as I lovingly refer to it, ‘brown food’, your classic 1970s food. I knew that I could use a different cheese, a fresh herb, more of this and less of that to create and offer something new that was, at that time, not the norm. Let me try a cookie cutter or a mold and if nothing less, it will look different. Presentation and visualization are and always remain just as paramount as the flavor of what I would serve. Always glued to the few television cooking shows of Julia Child, Gram Kerr and Jaques Pepin gave me inspiration and brought me joy that I had never experienced! “Enter Christmas, late 1980s. We have all had and gracefully received our friends and neighbors’ fudge, cookies and miniature loaves of breads, divinity and more among the standards. They remained year after year; everyone was doing the same recipe and style of baking to welcome the Holiday. I thought there must be something I can do that is different from anything anyone else is doing. I can prepare a dessert or a candy that no else had ever received with the exception of the carbon copy store-bought candy. I found myself in the kitchen with a plethora of ingredients, ideas, determination and excitement to create something that would stand out and have people wanting more. 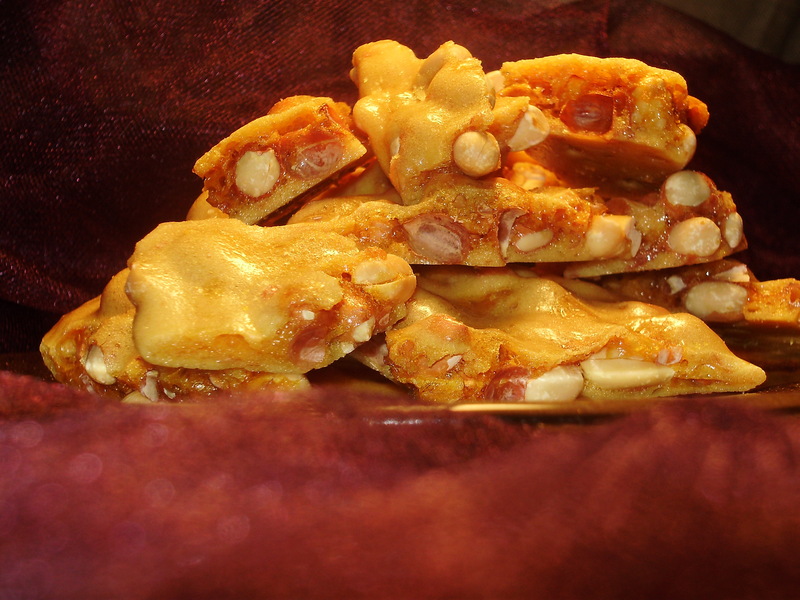 “It was at this time I designed my recipes for my English toffee and peanut brittle. My gift to friends, co-workers, neighbors would be the gift that now, if not received, is brought to my attention. Judith, you’ve done such a wonderful job sharing your story, but I still have some questions for you. Over the years, I purchased, sampled, and tasted most of your products. Do you have a favorite? What is the most challenging part of starting and growing your own business? What was your biggest moment or if several, tell us about them. 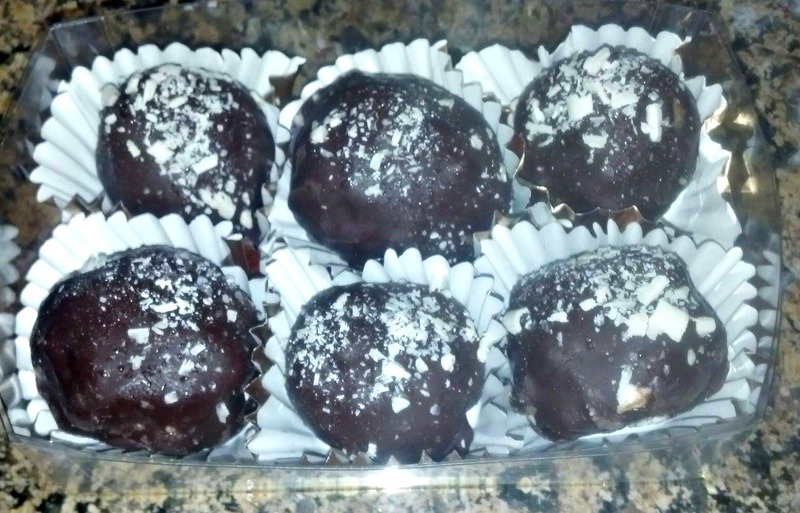 What makes Homemade Confections different? When you get a bright idea to create a new product, does it require a lot of testing? Fortunately for me, I’ve been on the taste testing side of Judith’s ideas. They all taste great, but some but some ever better and more outstanding than the others. Judith, thank you for sharing your story and allowing me to interview you. You are indeed a woman of passion and substance. 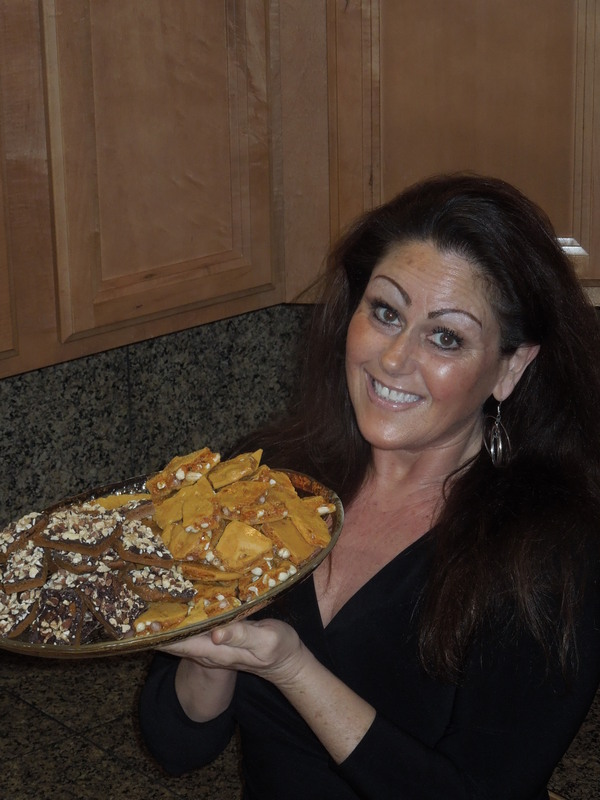 Let’s share with our readers where they can discover more about Homemade Confections.